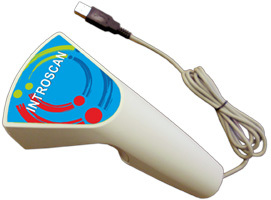 The Introscan is an advanced hand-held quantum physiotherapy device designed for the treatment of a wide range of conditions of the human body. The device is popular with many types of complementary therapist from physiotherapists to beauty therapists. Powered via the USB port of a laptop or desktop computer the Introscan is very light, portable and can be used anywhere. The Physiotherapy section of the Physiospect 23 device is designed to integrate directly with the Introscan in order to taylor its programs to suit each client's specific conditions. Apparatus of quantum therapy Introscan is a physiotherapy unit for personal use, designed for treatment of a wide range of diseases. The low weight and the possibility of using batteries in apparatus Introskan Light can be used in any convenient for you place: at home or on the road, in the office, in open air. 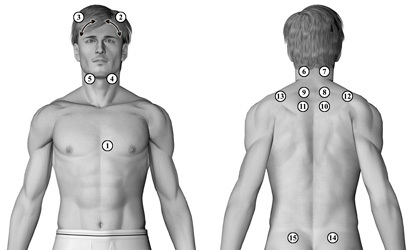 High efficiency of Introskan devices series is achieved by using a combination of all types of therapies and the impact of signals with different types of modulation on acupuncture points that affect specific organs and systems. Full list of treated diseases includes more than 200 illnesses and pathologies of different systems. Introskan Light: 4 AAA batteries. pulse, duration - 5 minutes. 4. Coronary heart disease. Stenocardia III and IV functional classes. The postinfarction state. Myocarditis. 12 Gallbladder and biliary tracts diseases. Noncalculous chronic cholecystitis. Biliary tract dyskinesia.